Just thought I’d introduce some Israeli music. A great Israeli band, which unfortunately are no longer playing, called Shotei Ha’Nevua (sometimes also transcribed Shotey HaNevua) which means Fools of Prophecy. They played a lot of good songs, and in my opinion several that are better than this one that I’ll present here, but this one I is perhaps one of their most famous tunes. I’ll try to translate the text but it is taken from the Kabbalahs “Sepher Zohar” which is a bit obscure and complicated. It is therefore difficult to make a correct translation, but I’ll do my best to re-write the text and convey and reproduce the literary qualities. Well, the reason that this illustration was chosen is that the song include a Shofar. 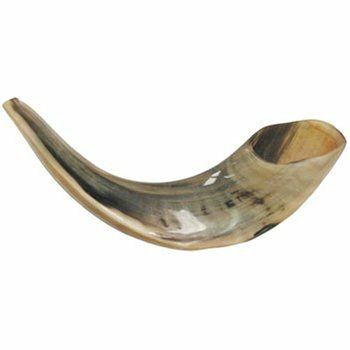 A shofar is a horn of a ram, which is blown on holy days as “Yom Kippur” – a day where one is to reconcile ones sins. “The text comes from the Zohar (Hebrew זֹהַר [Zohar] radiance) – a group of books regarded as the pivotal work in Kabbalah – the Jewish mystical tradition. Sod – the secret, esoteric level. Zohar is a comprehensive work, with many individual texts and text types. 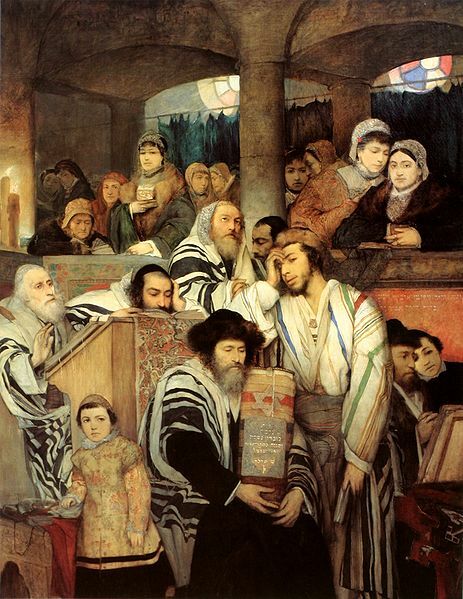 The various books that are part of Zohar exegesis includes both the Theosophical theology, mythical cosmogony, mystical psychology, and which can be viewed as anthropology. The work includes a discussion of the nature of God, the universe’s origins and contexts, the soul of the properties, sin, salvation, the problem of evil, and similar topics. The work is probably written in Spain at the end of the 1200s, by Moses de León (c. 1250 to 1305), but traditionally ascribed to Rabbi Shimon bar Johai who lived in Galilee sometime during the 3rd century Common Era. A selection from the Zohar – from the work’s comments to the creation stories in Genesis – is published in Norwegian in the collection Jødiske skrifter, 2002 (Jewish writings, 2002). Sepher Zohar or Glory Book is said to be the most authoritative Kabbalistic work, but this massive series of books is apparently so obscure and symbolic that it almost borders on the incomprehensible. Shotey HaNevuas song Kol Galgal – ‘The sound of a wheel’ – describes a spiritual world in motion. I have seen the text translated into English as ‘The sound of a circle’, but perhaps ‘The sound of a wheel’ is better, since the text mentions wagons? Anyway the noun galgal can refer to both the wheel, circle, sphere, etc. (Wheel, sphere, orb, cycle, pulley, hoop, helm). obscure wagons coming rotating / rolling. The sound of melodies go up and down. The walk and walk in this world. The sound of the shofar extends through the scale / stairs the depth, and the circle spinning. It is the sound, the sound of a wheel that goes up and down. – Allegorical, mind allegorical or symbolic. 4. (of a philosophical doctrine or the like) intended to be revealed only to the initiates of a group: the esoteric doctrines of Pythagoras. Critical explanation or interpretation of a text or portion of a text, especially of the Bible. Exegesis is a theological discipline in which biblical texts are interpreted. Commentary and problem discursive review of a biblical text. Theosophy (Medieval Latin theosophia < Late Greek theosophía. Theos – or god – sophia , wisdom). 1. any of various forms of philosophical or religious thought based on a mystical insight into the divine nature. 2. ( often initial capital letters ) the system of belief and practice of the Theosophical Society. This entry was posted in Israel, Music, Religion / Superstition and tagged Fools of Prophecy, Israeli music, judaism, Kabbalah, Sepher Zohar, shofar, Shotei Ha'Nevua, Shotey HaNevua, yom kippur. Bookmark the permalink.